Everyone deserves a new, fabulous look. Cute little fashionista, what are you waiting for?Hurry up, the models are here! Dazzling cosmetics, luxurious dresses... Everything is ready. All we need is you! Make and dress up these supermodels ready to take the stage. In spite of different skin tones and cultural background, they are gorgeous in their own ways. How to pick up the most suitable makeup and outfits that match with their skin tones and personalities? You little talent won't let them down, right? Customize their features and make them queens of their hearts. Wow~ All the audience and cameramen have arrived now. Scream and shout, it will be a wonderful sleepless night! 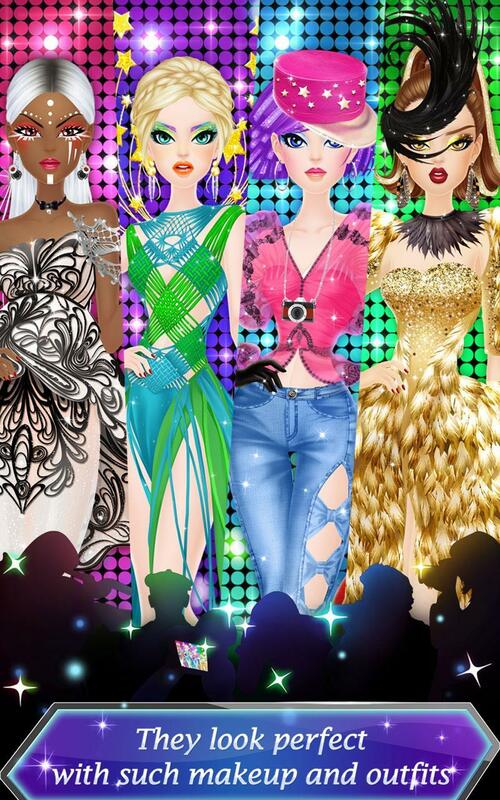 Since you got a knack for colors, patterns and shapes, make the girls supermodels now. Why is this fashion show held? Who designed all these gorgeous outfits? We bet you don't want to miss all these wonderful stories. After the show, let's move on to the shooting scenes. Studio facilities or some natural light, which do you prefer? Freeze each wonderful moment while having a ton of fun along the way. See, all of the models look like big stars.